New York, NY, (July 6, 2018) – The Fifty Best has once again shined its spotlight on Rosé. The Fifty Best recently hosted a tasting where thirty-one rosé wines were evaluated for the distinguished “Best Rosé” awards for 2018. 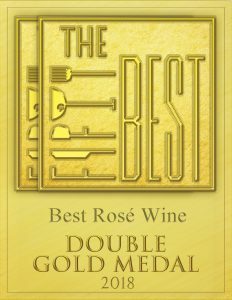 The Fifty Best is very pleased to announce that NotoriousPink Grenache Rosé 2017 was awarded a Double Gold medal. Using professional criteria, The Fifty Best’s panel of judges blind-tasted the wines and rated them individually. After tallying the scores, medals were awarded based on the judges’ impressions.